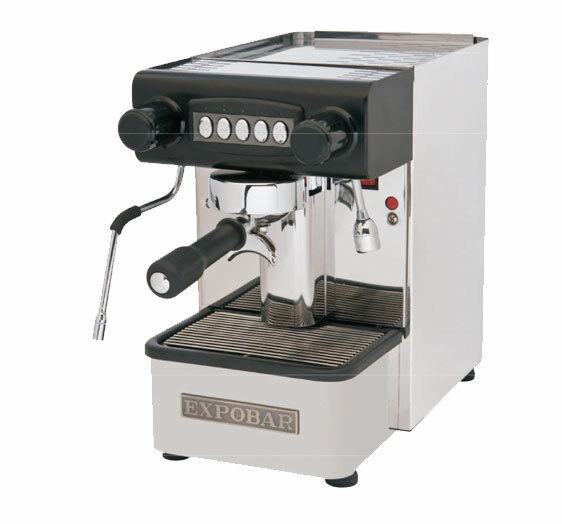 Fully Automatic 1 Group Espresso Machine with electronic switchboard to control the coffee dosages volumetrically, 2,75 litres water tank, and copper boiler with 1,5 litres capacity with heat exchanger. Large 2000watt heating element for unlimited steam production. One steam tap (stainless steel) and one hot water tap.